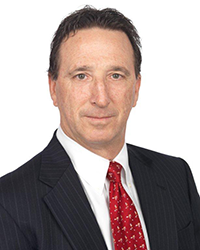 Board Certified Civil Trial Lawyer - a distinction earned by only 3% of Florida attorneys - Daniel L. Haverman has practiced in the fields of personal injury and wrongful death for more than 30 years. Based in Boca Raton, his practice has served clients as far south as Key West and as far north as Jacksonville. With an emphasis on personal service, Mr. Haverman is committed to resolving your case whether through settlement or battling it out in the courtroom. Utilizing the most current technology, he presents thorough and understandable cases to juries in an effort to maximize his clients’ recoveries. His previous experience as an attorney working on behalf of major insurance companies serves him well today in representing his current clients' needs. He understands how big insurance companies work - and that knowledge is invaluable in litigating, negotiating and resolving his cases today. Mr. Haverman’s cases cover a range of personal injury and wrongful death issues including medical malpractice, automobile accidents, insurance and bad faith claims, dog bites and nursing home abuse. He has taken more than 60 cases to trial. Mr. Haverman has earned an AV Peer Review Rating in the Martindale-Hubble Law Directory for his legal capabilities and devotion to professional ethics. Professionally he is an Eagle member of the Academy of Florida Trial Lawyers, the Association of Trial Lawyers of America, the Broward County Bar Association, the South Palm Beach County Bar Association and the Palm Beach Country Trial Lawyers Association.